OneZoom are a small up-and-coming charity, founded in 2012, dedicated to providing educational material about evolution. 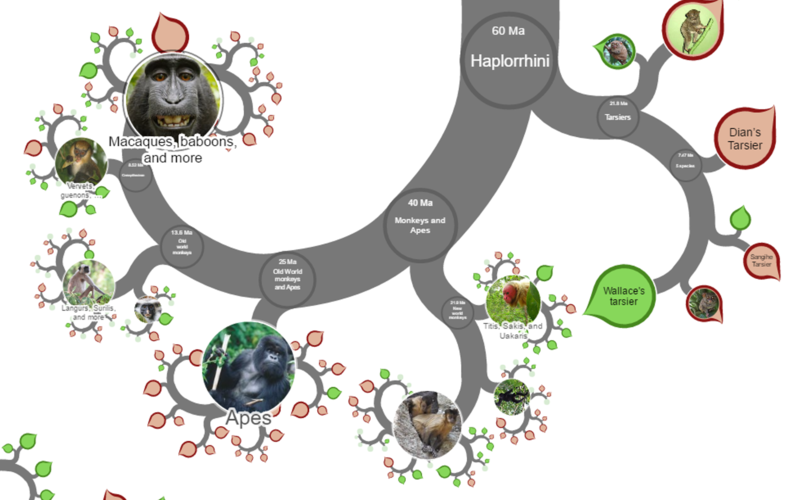 They have developed a tool that allows users to view all species on earth in a huge evolutionary tree (you can see it here: www.onezoom.org/life). It has already been shown at science fairs across the UK, and is now a fixed feature at a number of museums of natural history around the globe. Despite its huge achievements, OneZoom is almost entirely the work of just two people, working in their spare time to make a vast body of knowledge on biodiversity and evolution available to anyone of any age.